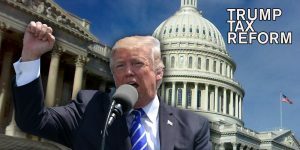 Donald Trump, FATCA, and Citizen-Based Taxation; What Will Happen Next? On the 9th of November, Donald Trump was chosen as the 45th president of the United States. Americans Overseas went to an event organized by the US embassy. It was an event that started early morning, Dutch time, and turned out to be somewhat of an election roller coaster. We had our preference, but Americans Overseas will always try to remain a non-political organization. Our aim will be to monitor any future tax news regarding CBT (citizen-based taxation), FATCA (Foreign Account Tax Compliance Act), and any other change in US taxation for Americans living overseas. Roughly, 8 million Americans living Overseas are faced each year with their US tax filing obligation. America is the only country in the world that obligates its citizens to file regardless of where they live or work. Trump’s predecessor, Obama, introduced FATCA, which forced every financial institution to hand over lists of US clients. This law was designed to catch tax cheaters hiding money. Unfortunately, it made life for Americans more difficult from a tax and financial perspective, because banks started refusing Americans’ service. 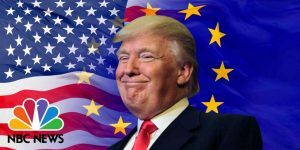 What will Donald Trump do in the wake of FATCA to make the lives of Americans living overseas easier? Unfortunately, he made no clear statements on what he plans to do specifically about FATCA and citizen-based taxation. However, he has been very consistently stating that he will lower taxes. This means that US citizens (and green card holders) living overseas will still need to file their annual returns, but the chance that they will actually owe tax to the US will be further minimalized. Trump is set to take office in the beginning of next year and we will closely follow any new developments. For questions on US taxation, please feel free to contact us. Any consultation is free of charge and with no obligation. This is yet another great reason to renounce one’s USA citizenship – a total disregard by the government of the plight of its citizenry abroad. What a shame. Knowing the plight of USA I would not be surprised if things got WORSE rather than better. This is yet another article that unfortunately understates the problems being faced by US citizens abroad. Depending on the country of residence (tax treaty) and the persons personal circumstances, US tax obligations can absolutely ruin that persons life, and that of their family. Tax reporting costs quickly run in to thousands. Hostile US tax treatment of foreign investments, when all that persons investments are foreign. Inability to plan for retirement as the USA treats local tax efficient retirement plans as foreign investments and taxes the bejasus out of them. The constant fear of the slightest mistake being met with the infamous minimum penalty of $10,000 where no tax was avoided or evaded. Spending ones life as a second class US citizen stripped of the most basic constitutional protections. Spending ones life as a second class resident (and possible citizen) of their country of residence, stripped of local privacy and anti discrimination protections at the behest of the USA. Inability to obtain business finance. Businesses ruined by US reporting costs. Inability to get a business partner, for they too get dragged in to IRS hell. Restricted career paths as higher up positions will require the entire company to be reported to the IRS. Restricted financial choices as many financial institutions simply refuse to do business with US clients. The list of damage being done by US citizenship based taxation is endless and amounts to a severe restriction on a persons freedom to leave the country, a breach of a basic human right under the Universal Declaration of Human Rights. And lastly, the USA is hurting because of this. In a global world and a global market place, you need people out there. Stop blaming other countries for your balance of trade deficit, Mr Trump. It’s your own fault. Good news! 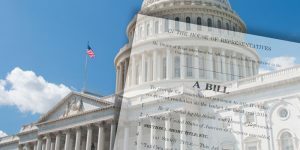 It looks like FACTA is well on the way to being repealed, there is a lot of support from various members of congress and there have been some legal repercussions due to privacy legislation in various countries. More details in this excellent article by Dan Hadley in https://www.nestegg.com.au/investment-insights/11963-f-a-t-c-a-the-all-stick-and-no-carrot-approach-to-u-s-taxation-reporting on the 8th June 20018.